Surat Thani province is to the east / northeast of Phuket. It's about 200km from here to Surat Thani Town. 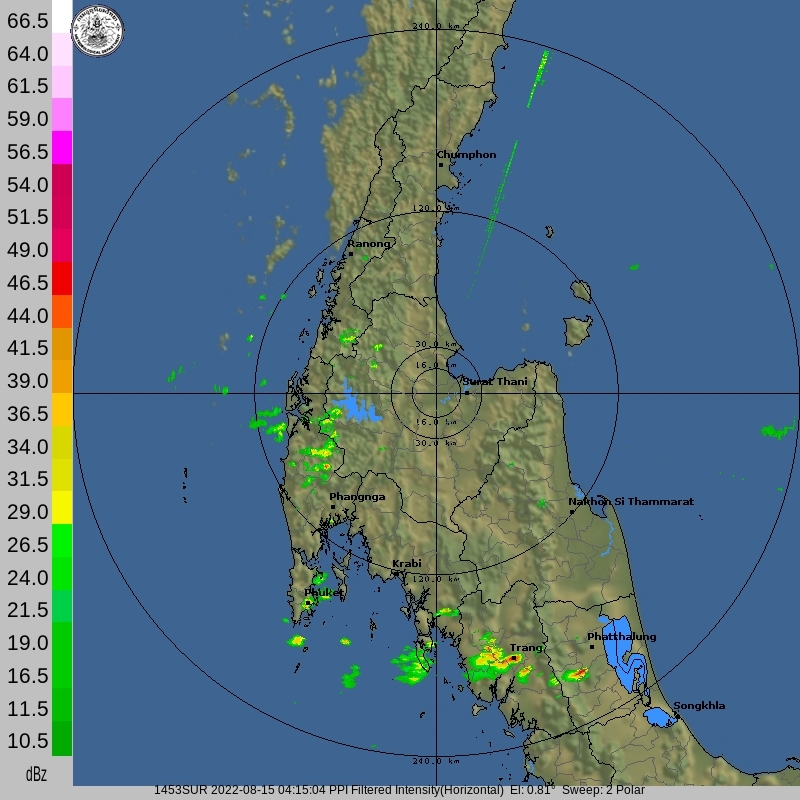 You can see Phuket clearly marked on the radar image below. Surat Thani province includes Koh Samui and also Khao Sok National Park. It's a big area - over 12,000 square kilometers. Note that the time shown at the bottom of the image is UTC (7 hours behind Thai time).